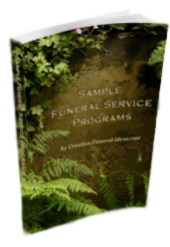 You will find an elegant, tradional service for the Scattering of Ashes Ceremony, in our Funeral Service Program eBook. It provides you with a word by word guide for the ceremony. "Life is a process in which we are all linked. That which was earth returns to earth. That which was air returns to air. That which was water returns to water. That which was fire returns to fire." You simply have to follow the word by word guide and our Scattering Of Ashes ceremony will lead you through the entire service. One: At the rising of the sun and at its going down. . .
All: We will remember her. One: At the blowing of the wind and in the chill of winter. . .
One: At the opening of the buds and in the rebirth of spring. . .
One: At the blueness of the skies and in the warmth of summer. . .
One: At the rustling of the leaves and in the beauty of autumn. . .
One: At the beginning of the year and when it ends. . .
All: We will remember her, for she is now a part of us, as we remember her. One: When we are weary and in need of strength. . .
One: When we are lost and sick at heart. . .
One: When we have joy and wish to share it. . .
One: When we have decisions that are difficult to make. .
One: When we have achievements that are based on hers. . .
All: For as long as we live, she too will live. 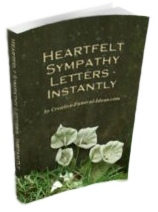 . .
Plus a selection of our most popular prayers, Bible Readings, Remembrance Poems, Funeral Readings and Quotations. 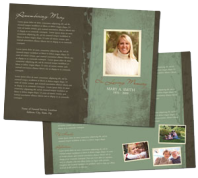 Most similar books sell for $29.00 and more, but our product is available for instant download for just $14. Would you like a Program to hand out to those that are attending? 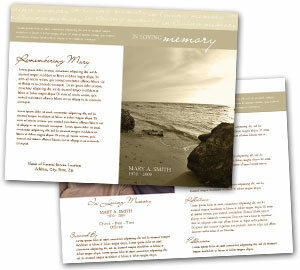 Do you also want to offer a program to your guests for the Scattering of Ashes Ceremony? The Bios Urn is 100% biodegradable, made of coconut shell, compacted peat, and cellulose. It has two parts — a top capsule for the seed, and a bottom part for the ashes. This structure allows the seed to germinate separated from the ashes and their high acidity. Once the urn starts to biodegrade, the seed roots are already strong enough to contact them and the entire set becomes part of the sub-soil. Leaving behind a tree definitely seems like a better option than leaving behind a tombstone.